We take pride in the patient experience. This means our patients’ health, convenience, and comfort are at the center of everything we do and every decision we make. We know that you’re busy, and that fitting dental care into your family’s schedule and budget can be a challenge. That’s why we run on time, offer extended hours, family appointments, and accommodating payment options. We make it convenient for you to keep your whole family in great oral health. Our beautiful office is easy to find, and has been designed with the belief in mind that dental visits don’t have to be cold and clinical. From the complimentary beverages in our reception area to the comfortable pillows, blankets, and warm towels in our private treatment rooms, we’ve taken great care to make Lakeside Dental a warm and inviting dental home for your family for years to come. Whether you’re a family of one or ten, we want to help you stay healthy. We know how difficult it can be for busy families like yours to regularly receive dental care. We’ve gone out of our way to make our office as accommodating and as family-friendly as possible. We also offer family-block appointments, which make it possible for everyone to be scheduled together so you don’t have to keep coming back for multiple visits. Our kind, gentle, and caring staff loves to treat children of all ages. We understand that younger patients have unique needs when it comes to dental care, so we always take the time to explain treatments using language that kids understand, and we even let them touch some of the instruments to ease any dental anxiety. Education is an important part of quality dental care, so we do everything we can to make kids’ visits easy, interesting, and fun! Call us today and let us take care of you and your family’s smiles. Our office is located on Lakeside Drive, between Moana Lane and W. Peckham Lane. Wherever you are in Reno, you are no more than 15 minutes away from the excellent dental health care provided by Dr. Topham and the Lakeside Dental team. The convenience doesn’t stop with our location, either. Our early morning and evening hours throughout the week make it easier than ever to schedule your dental visits without interrupting your busy schedule. 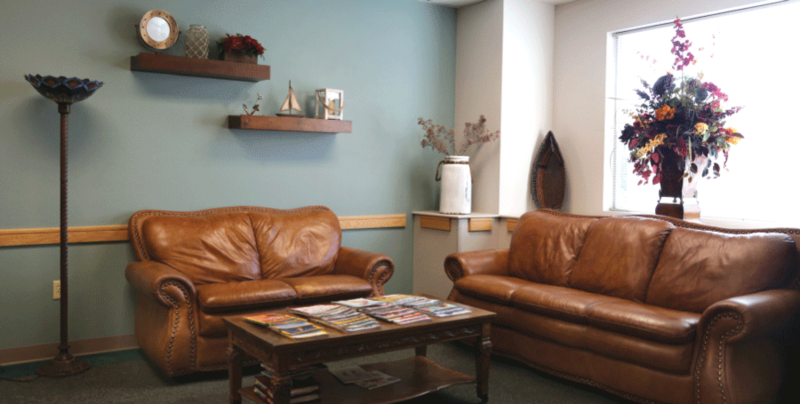 We want you to feel relaxed and at home while you’re visiting our office, so we stocked our practice with a variety of amenities to keep you comfortable throughout your appointment. Come experience the Lakeside Dental difference. Schedule an appointment today.